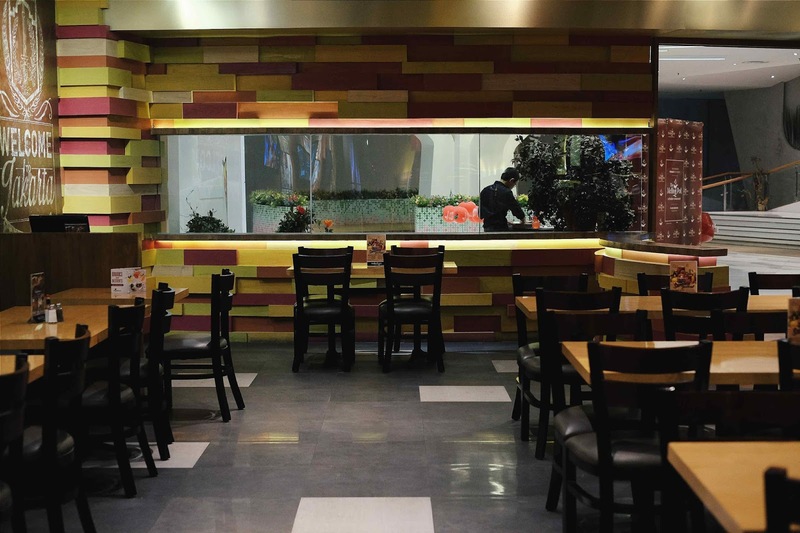 Christmas is coming and I believe most of you is now looking for great restaurant that perfect for Christmas dinner. Well, I should say when talking about christmas dinner we're looking for western food such as steak, roasted chicken and etc that symbolized big and feast. I just visited this restaurant and think probably it will be a great option for Christmas, so this is Applebee's. 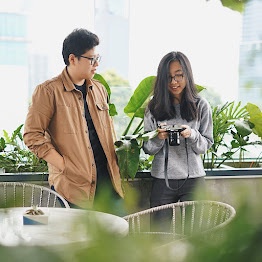 We can say they still new in Jakarta but they're a huge joints at US and very famous there. So for the quality itself they've already had their own standard. Overall the menu is quite the same. 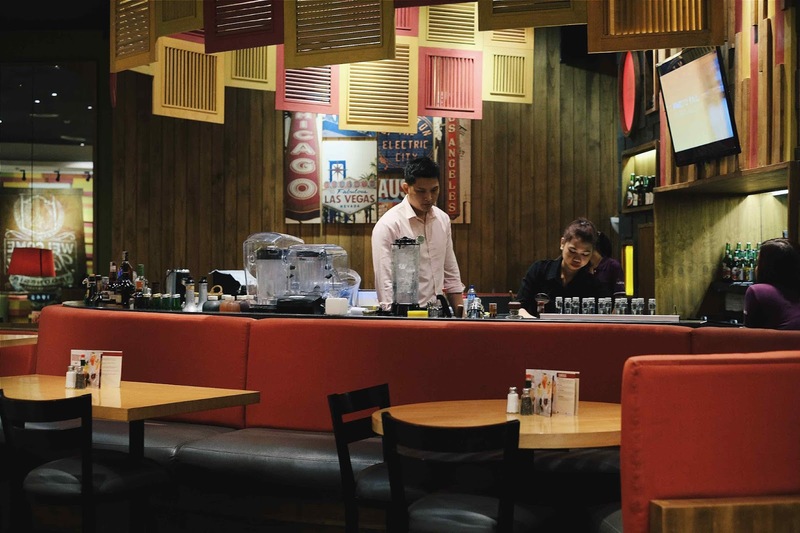 Applebee's is located at Plaza Senayan 5th floor, same level with cinema XXI and Marche, anyway when you're at level 5, the waiter of Applebee's and Melting Pot will directly introduce them so you should aware about them. Applebee's started with the same philosophy focused on serving good food to good people. Today, what was once a popular neighborhood restaurant has grown to become a popular restaurant in neighborhoods all across America. 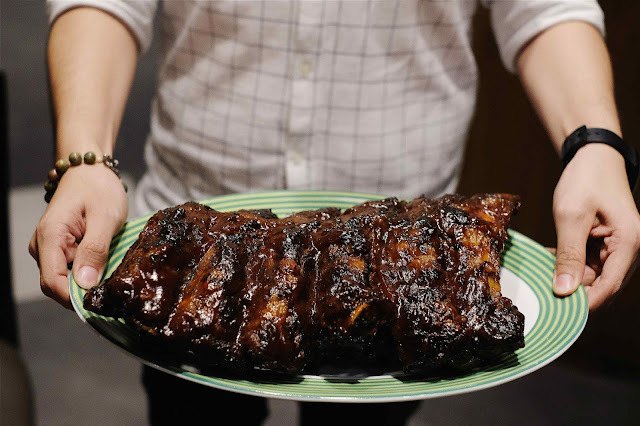 Applebee's menu features beef, chicken and seafood, as well as burgers and pasta. So once again it's perfect for Christmas occasion. 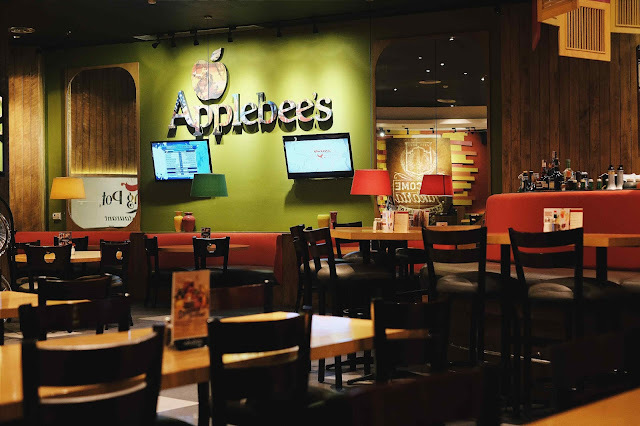 The dining area is so big and also have bar, while the decoration and interior looks classic and old but that's how Applebee's stick with their American dining concept, the service also fine and let's go for the food! 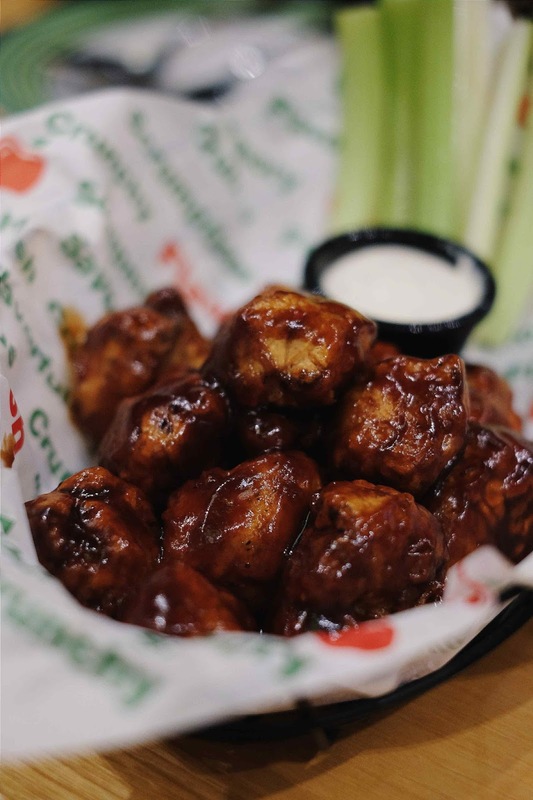 To start the dinner I recommend you to try their Boneless Wings! 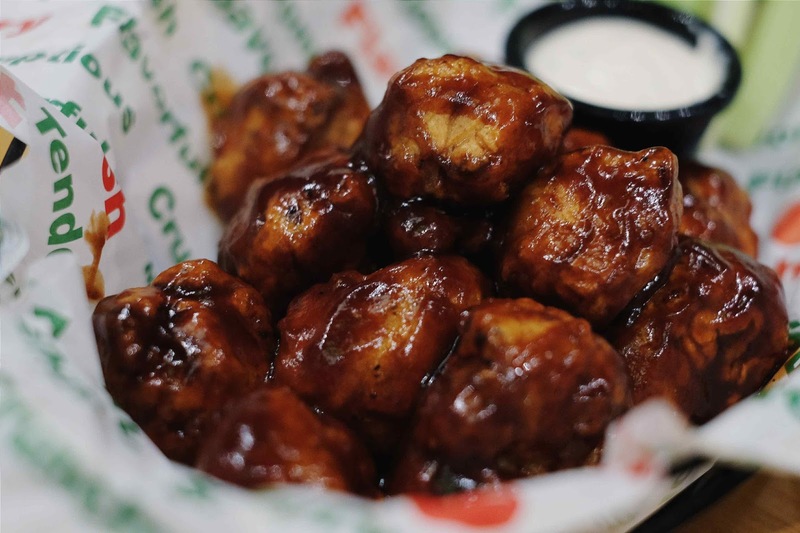 So basically this is America's top buffalo wings, but they make it boneless! No dirty hands while enjoying this awesome chicken wings. The sauce was really great, very balance. You can taste all flavor in one bite, kinda spicy, sweet and sour! You can also dip it to extra tartar sauce to add more acidity, don't forget the celery! A must try. 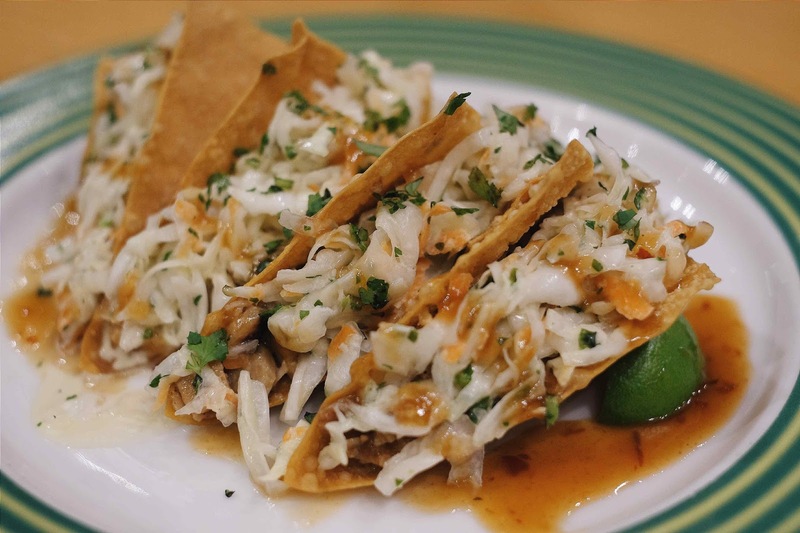 Next we have Wonton Tacos! 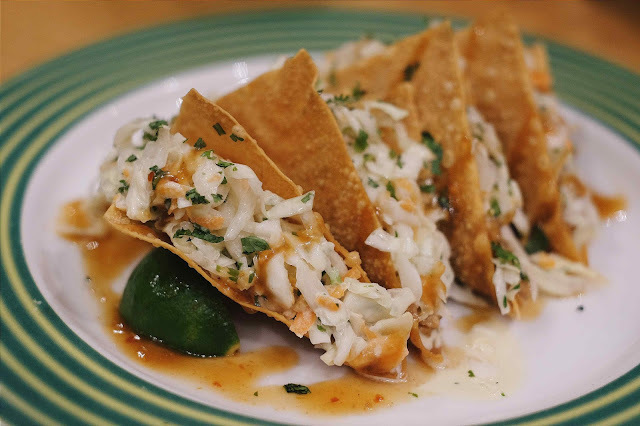 A twist Mexican dish using zesty grilled chicken is chopped and stuffed in crispy wonton shells and topped with crunchy Asian slaw and cilantro. Personally I really love this Asian tacos. The crispy of wonton skin mixed together with asian slaw and cilantro, my favorite and then not oily at all. 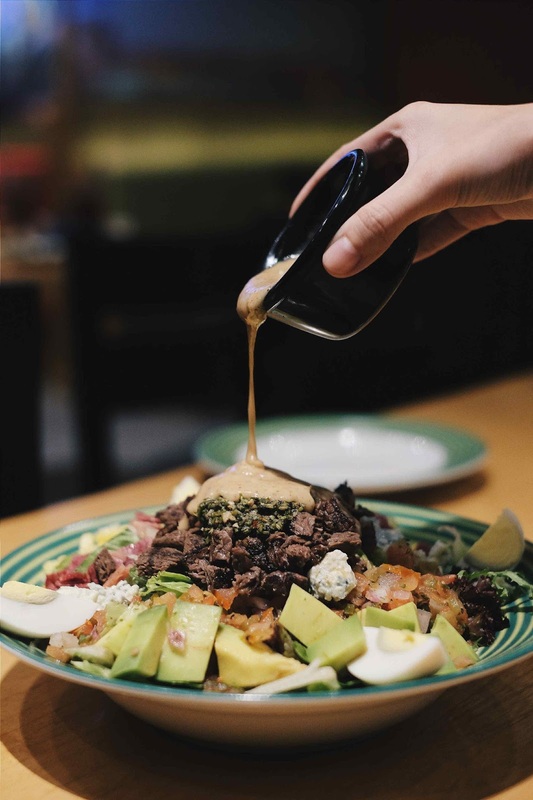 When you're in big dinner, you should order salad just to make all the food balance. To be honest this is very big salad. 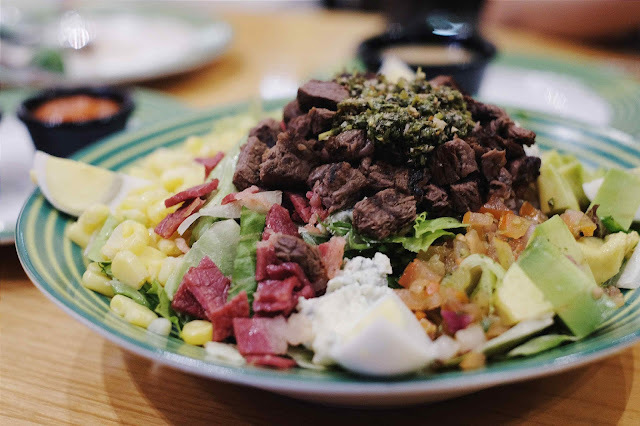 Lettuce with corn, beef bacon pits, pico de gallo, avocado, blue cheese and boiled eggs, served with House Sirloin with chimichurri sauce and the dressing of your choice, various ingredients in the bowl and all the taste mixed well, I love their chimichurri sauce while meet with sirloin! Super love this salad. 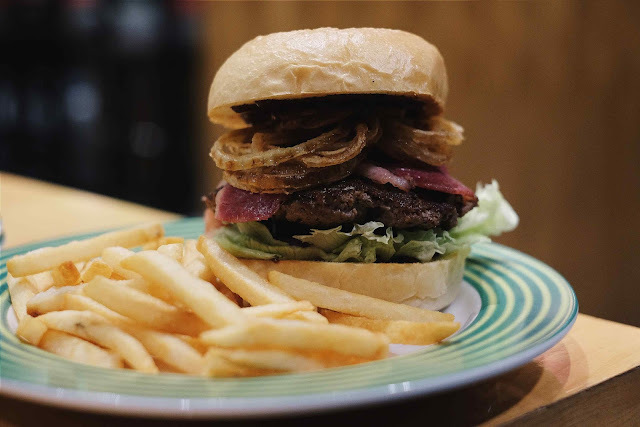 As one of specialty here is burger, so make sure you didn't miss one, they have a lot of burgers here and their signature is Cowboy Burger and again it's BIG!!!! 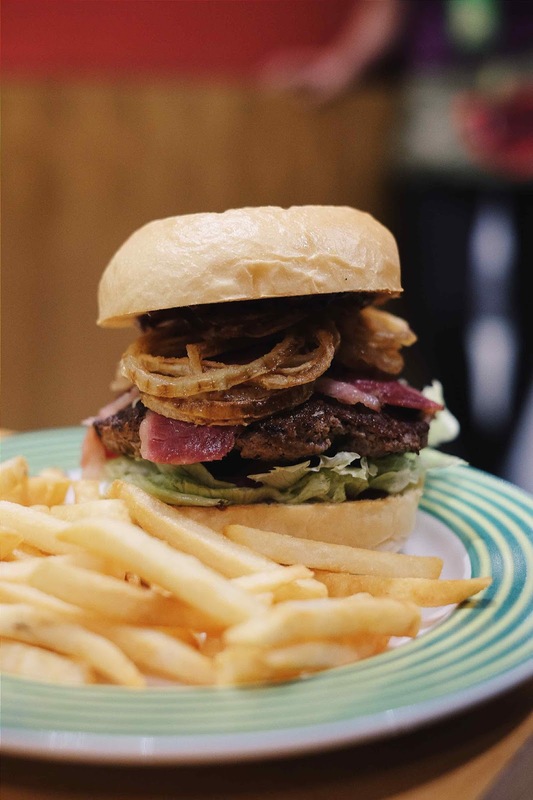 Head out West and grab this Burger topped with crispy onion strings, melted white cheddar cheese and smoked beef bacon. Served on toasted bakery bun with smoky mayo, the patty was juicy and combined with bacon, that;s just lovely! 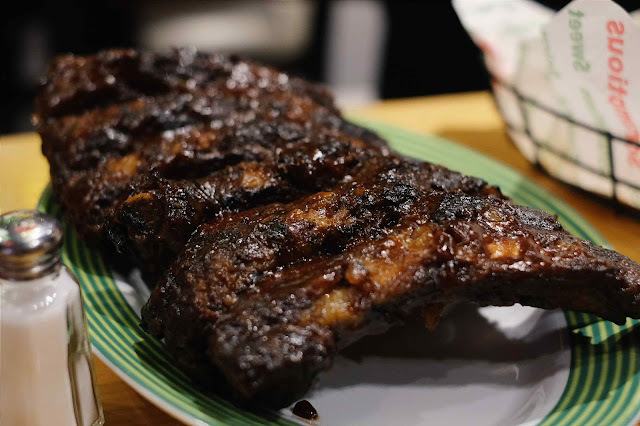 Their signature Beef Rack Ribs are rubbed with top secret barbecue seasonings and basted in your choice of sauce. Served with fries and coleslaw. Everyone gonna love this ribs! 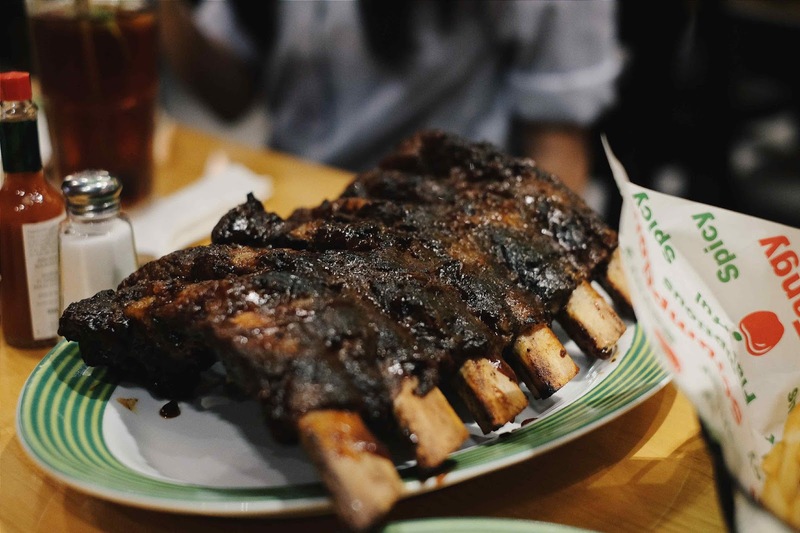 Ribs never failed to satisfy your cravings, and you should enjoy it with your hand, it's so finger licking good :9 that's the best part, don't forget to ask extra sauce to the waiter for more delicacies. Always end your dinner with lovely sweet dessert and THIS IS BOMB!!! 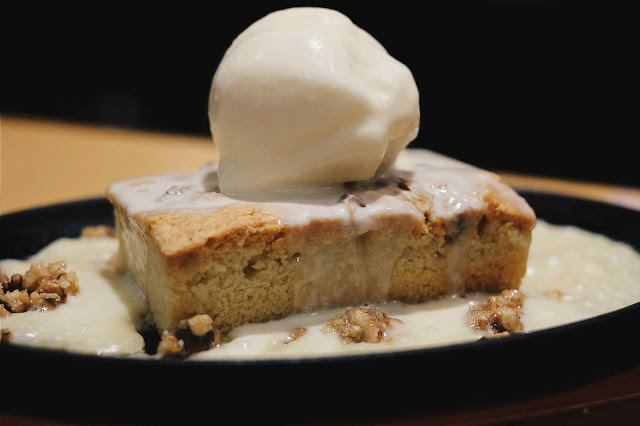 Baked with nuts, topped with both ice cream and chopped walnuts, and served sizzling at your table where it's covered with a rich, maple butter sauce. Very nice presentation, so "Instagenic" and the arona was absolutely wonderful! 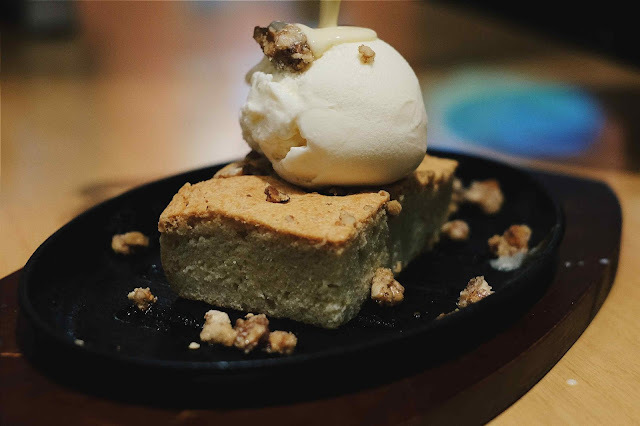 Creamy and buttery also have crunchy texture from the walnuts, a must order here! 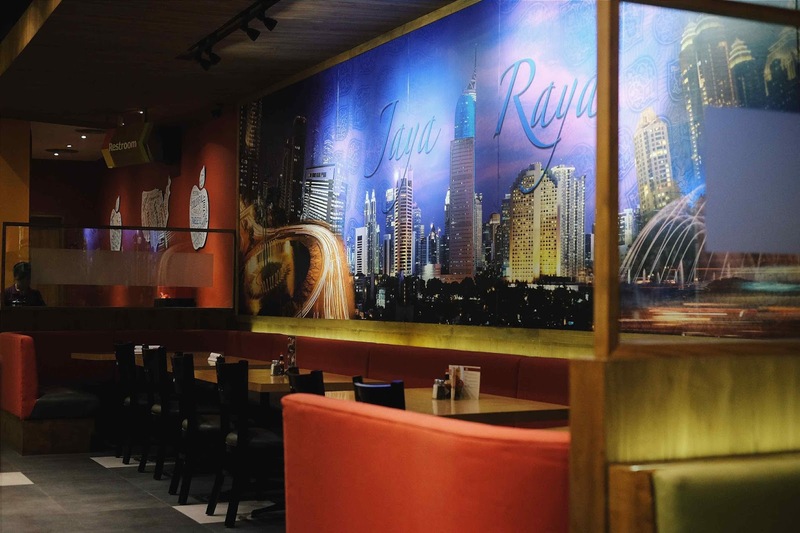 Overall, the food here was very satisfying, the ambiance and service was quite and the price also reasonable because the portion was quite big and can be shared up to 3 peoples I guess, so when you come here, make sure you're in a empty tummy!